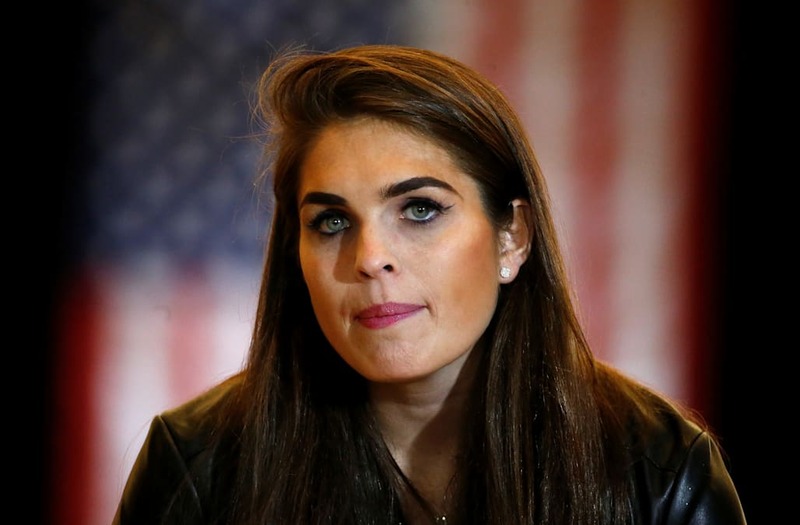 Hope Hicks, who was recently named interim White House communications director, has reportedly hired an attorney amid the ongoing Russia-related investigation. According to Politico, the 28-year-old has retained the services of lawyer Robert Trout whose well-respected background includes time in the Justice Department. The move comes on the heels of a Washington Post report from Friday which notes Hicks is one of six current and former Trump administration officials special counsel Robert Mueller’s team is interested in speaking with about Russia’s efforts to sway the U.S. election. The Post says, based on inside sources, that members of this group are of particular interest to the Mueller probe because they were likely present during White House discussions about former FBI director James Comey and former national security adviser Michael Flynn. The White House announced Hicks as the new interim communications director last month; she had previously been working as director of strategic communications, according to NPR. Before that, the former model was a loyal figure throughout the president’s campaign, having connected with the family while working for the Trump Organization. Because of this inner circle status, sources have indicated to Politico that Hicks likely understands why Mueller’s team would be interested in interviewing her.